An alien stranded on Earth. A tall warrior woman. Two fates forever connected. Marooned in 19th century West, Llewellyn is someone who should not exist. During a raid to a Comanche camp he rescues Anna: a young, strong frontier woman. The two become friends and comrades, their fates forever intertwined. They find themselves together in the prairies of 19th century Texas, the bordellos of Civil War-era New Orleans, to Prohibition in the 1920s, the Great Depression, and the vastness of space. But can they survive hardships through history, the enmity of their southern neighbors and the Civil War, to return to his home planet and exact his revenge? â˜…â˜…â˜…â˜…â˜… - "Well written and thoroughly researched, with realistic characters and events. I could not put the book down." â˜…â˜…â˜…â˜…â˜… - "A great story with memorable characters, but to me the most fun was the historical aspect of it. Mari has done her research." â˜…â˜…â˜…â˜…â˜… - "One of the most unusual sci-fi stories I've read... I love these books and recommend them completely." â˜…â˜…â˜…â˜…â˜… - "I don't usually read western-themed books but this book breaks the mold, blending western, historical, and sci-fi / paranormal all into one. It was spellbinding." 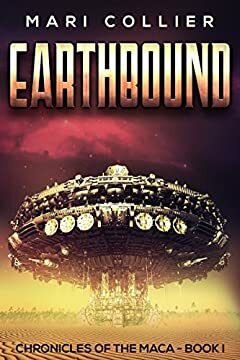 Earthbound is an Amazon Sci-fi Western Bestseller.